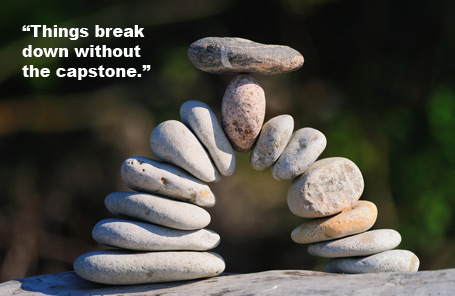 The Capstone of the accounts of Jesus life, ministry, and redemptive work is John’s Gospel. It is quite possibly the most profound book in the Bible. It opens with the same three words that the entire Bible commences with, In the beginning. It’s opening chapter is a collage of the fulfilment of the most important Old Testament prophecies which are introduced in the opening three chapters of the Bible. 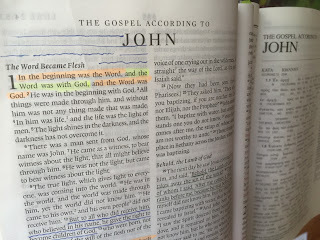 The opening chapter of the Bible deals with light being distinguished from darkness and so does the Gospel of John. 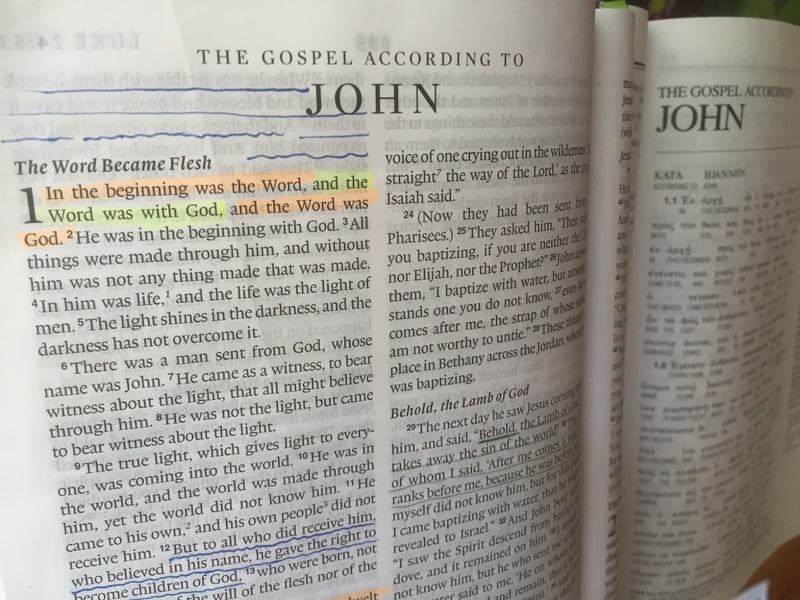 What is particularly striking about the Gospel of John is just how much planning God did in order to rescue us. As we end one year and begin another let us consider that we are created in the image of a God who delights in planning and encourages us to do the same. The other month I had planned to have four weeks leave so that I could sit a Biblical Greek exam and complete my F.W. Boreham documentary series. As you know, on the first of my leave I collapsed and was bed-ridden for the first week then relatively immobile for the other three. Plans sometimes suffer delays. Delays do not mean that plans do not help us achieve intended outcomes. Yet, many people experience delays just after they have planned and then abandon their plans as if planning does not work! I still plan to master Biblical Greek and I still plan to complete the Boreham documentary project – despite the delays I have experienced. F.W. Boreham tells the story of a young man who excitedly brought his sweetheart to a patch of ground and declared that one day they would own it! “Our kitchen will go here“, he said pointing, “and our lounge-room will go here.” Escorting her to another spot a little distance away from the layout of the house he then said, “And this will be where our fruit trees will go. And this will be where our sun-dial will go. And this is where I will be buried.” And as Mr Boreham explained, that’s exactly what this couple did after they married and bought this land. The detailed plans for their house and yard were completed precisely even up to the point of where these owners were buried in their old age. 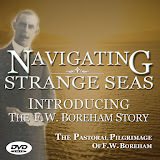 Dr. Boreham himself revealed his grand plans to the students of Pastors’ College where he had been studying, “And it is my hope, that in the course of the ministry I shall hold three pastorates, and then be free to travel in many lands preaching the everlasting Gospel among all denominations.” This also was precisely what he did, even though his journey had more twists and turns than he could possibly have foreseen. Plans give direction. Many of us will be starting the New Year in Genesis 1 and John 1. Both of these Biblical Books are connected by God’s great plan. In Genesis, God begins to announce it. In John, God enacts and begins to fulfil it. It is central to God’s plan that He will have a Church made up from people of every tribe, nation and language (Rev. 7:9). God’s plan involves Him working through you to bring people to know Him! Too many people give up their lives for small dreams, small visions, and small plans. Yet the God of the Universe who planned the placement of every molecule in the Universe calls and invites you to join His Grand Plan. You might have some natural plans – take a holiday, renovate you kitchen, buy a new car, which are commendable, but none of these will go on and outlive you for a hundred generations! Yet the Father’s plan of saving lost, broken, hurting, souls through your life and witness will outlive you for eternity! This is why I am so passionate about Christ’s Church! It’s why attending church is not optional for me – it is my participation in God’s Grand Plan! I have plans. I plan to do what I can to further God’s Grand Plan. As a church we have plans. We plan to do what we can to further God’s Grand Plan to rescue and redeem lost, broken and hurting people. We sense God’s plan for us to reach as many as we can as a church which is why we will need to extend our facilities, appoint new leaders, commence new programs, and take greater steps of faith for Him.